You may be getting sick of the FreeCreditReport.com commercials right about now. I know I am. Part of the reason is that there’s only one authentic place on the web to get a free credit report, and that’s not it! This week’s Personal Finance Basics looks at how to check your credit report without incurring any costs. Although many people don’t know this, and many others simply fail to take advantage – you’re entitled to a free credit report every 12 months from each of the three credit reporting agencies – Equifax, TransUnion, and Experian. If you’re diligent about how you use your freebies, you can pull a credit report for free every 4 months by rotating the agencies (i.e. Every January you pull Equifax, every May a TransUnion report, and in September you finish out with Experian). Since all three reports reflect about the same information (in theory), a 4-month gap between checks should enable you to keep a fairly good eye on mistakes in your report. Identity theft is still a consideration, however, and a 4-month delay in discovering that someone has opened credit in your name may be too long of a wait. If it’s something you’re worried about, considering purchasing credit monitoring that notifies you whenever there’s a change in your report. Ready to get your free credit report? 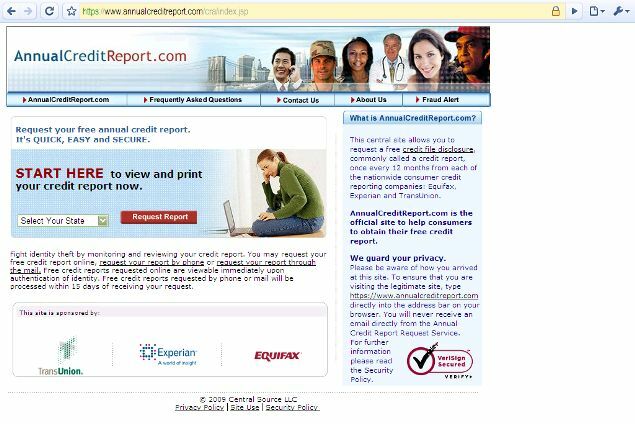 Visit AnnualCreditReport.com (required to open in a new window for security). Next Post What is a Grocery Loss Leader?